A native of Ballinrobe, County Mayo, Mick Donnellan is a playwright, theatre director and crime fiction writer. 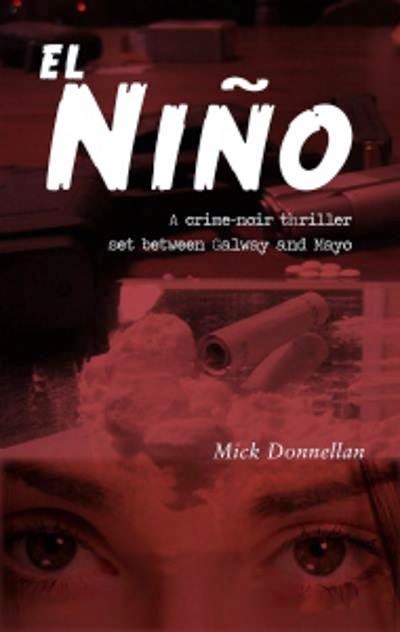 El Niño (2012), his debut crime thriller, is set between Galway and Mayo. "Charlie is a pick-pocket with a complicated past. He steals El Niño's wallet, then falls in love with her. She's wild, beautiful; intoxicating. He's a recovering alcoholic and needs to stay away from the pubs. "Their relationship takes flight and is full of passion and possibility. But soon, Charlie's demons come back to haunt him. P.J., a member of an old crime gang he used to work with, offers Charlie some work - a once-off robbery that seems well planned and very profitable. But..."
Donnellan took an MA in creative writing in NUI Galway then worked as a travel writer and journalist. In 2009 he worked with Druid Theatre under the New Writers Programme. His own company, Truman Town Theatre, has toured three of his plays - Sunday Morning Coming Down, Shortcut to Hallelujah and Gun Metal Grey - that have become known as the "Ballinrobe Trilogy". Donnellan lives in the West of Ireland.